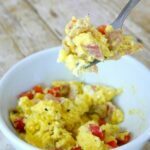 Here’s a great low carb meal prep plan for an easy single-serve breakfast! 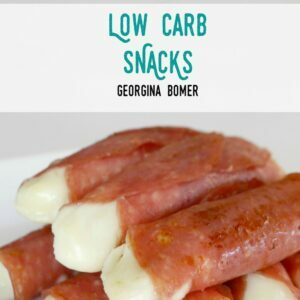 Keto and gluten free recipe. So I have to confess – I’m not really a meal prep person. I work from home, and of course a large part of my job is to make (and eat!) 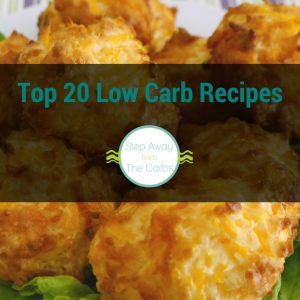 different low carb recipes. I’m also not that keen on repetition. One portion of leftovers? Fine. Two – not interested! The exception to my dislike of repetition is BREAKFAST. I’m getting my son ready for school, I’m hungry, I don’t want to have a ton of dishes to clean, and more importantly, it’s too early to come up with something new and inventive. I recently started buying those breakfast cups with eggs, cheese and either bacon or sausage. There are a few different brands around, some have the egg included, some you add your own fresh egg. I *love* these. 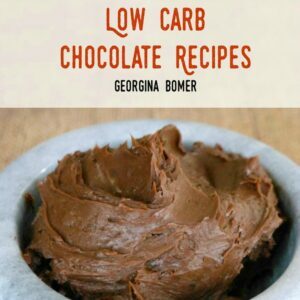 Sling them in the microwave, eat, job done. But at $2-4 per cup – it really is NOT something I could (or should!) do every day. That’s when my meal prep brainwave popped into my head. 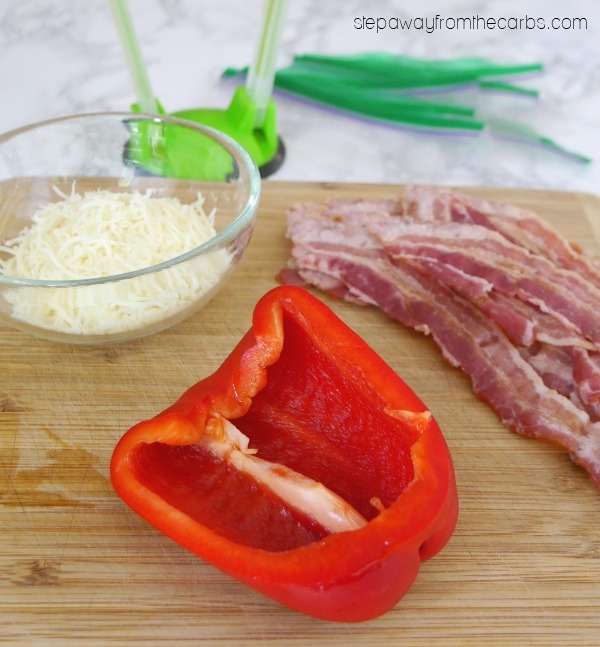 I decided on a combination of bacon, red bell pepper and shredded cheese as the base of the breakfast. 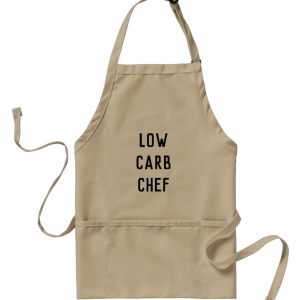 Then each morning I could just grab a bag, add an egg, cook it, and have a super easy low carb breakfast! I’m sure there are a ton of different variations but here’s how I made mine. Oh – and I made 6 – figuring that one of the weekend days I might have the time and inclination to make something different! Chop the bell pepper and the cooked bacon. 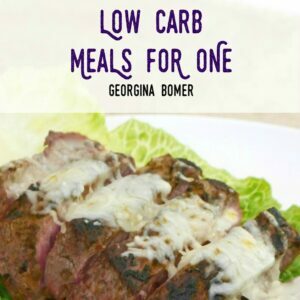 You will have to cook the bacon first of course – but this is something I have in my fridge at all times – great for wraps! However – I recently discovered a 1lb pack of cooked bacon at CostCo – hello!!! Perfect. 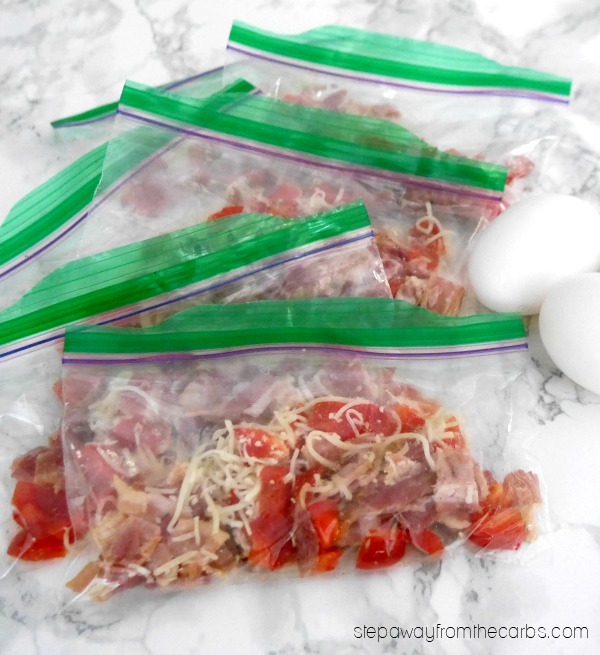 Divide the pepper, bacon, and cheese between six snack-sized plastic bags. I use a fancy stand for this. But it really is optional for this preparation – although they are particularly good if you’re freezing something like a sauce or chili! Seal the bags and place them in the fridge. 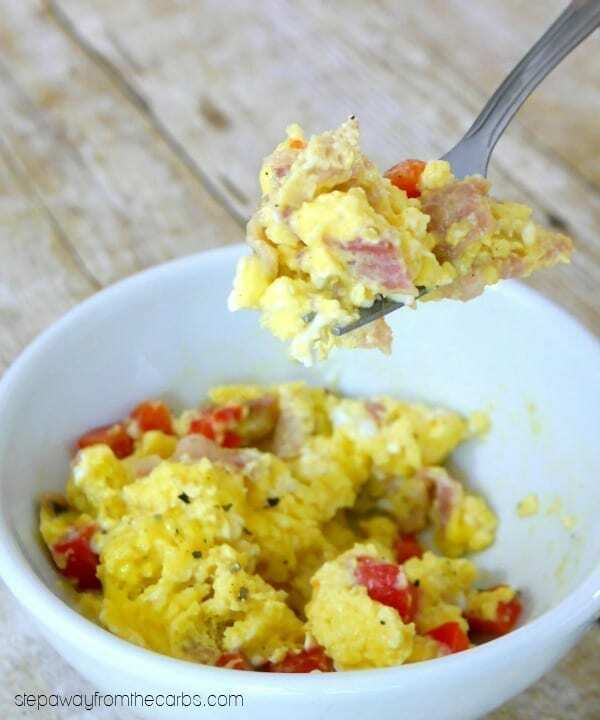 When you’re ready to cook, whisk two eggs together in a bowl with a fork. Add the contents of one bag and stir. Microwave on high for 30 seconds, stir again, and cook for another 30 seconds or until the egg is cooked to your liking. You might like to add a little black pepper – but other than that, you’re good to go! 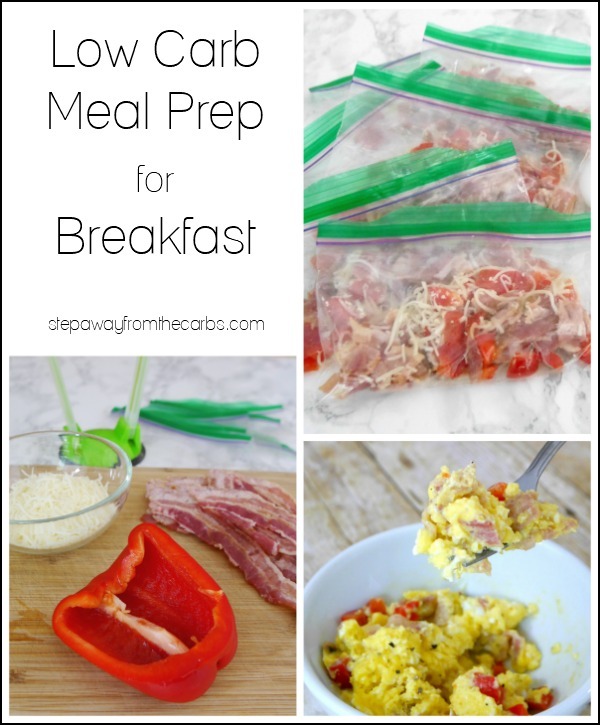 Here's a great low carb meal prep plan for an easy single-serve breakfast! 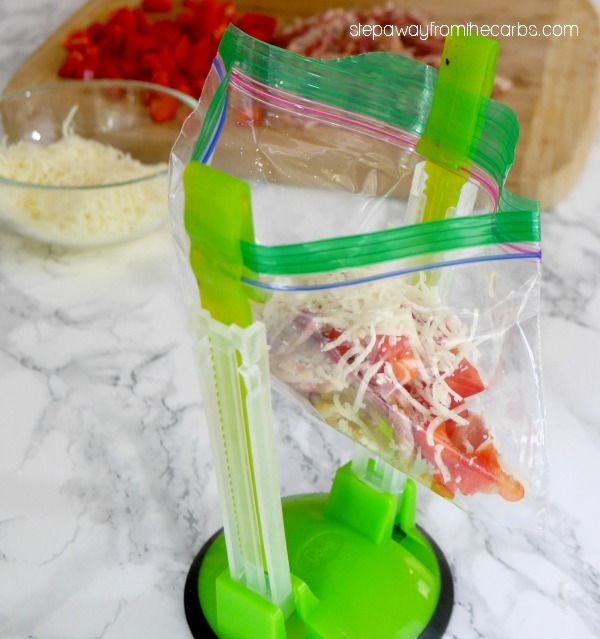 Divide the pepper, bacon, and cheese between six snack-sized plastic bags. 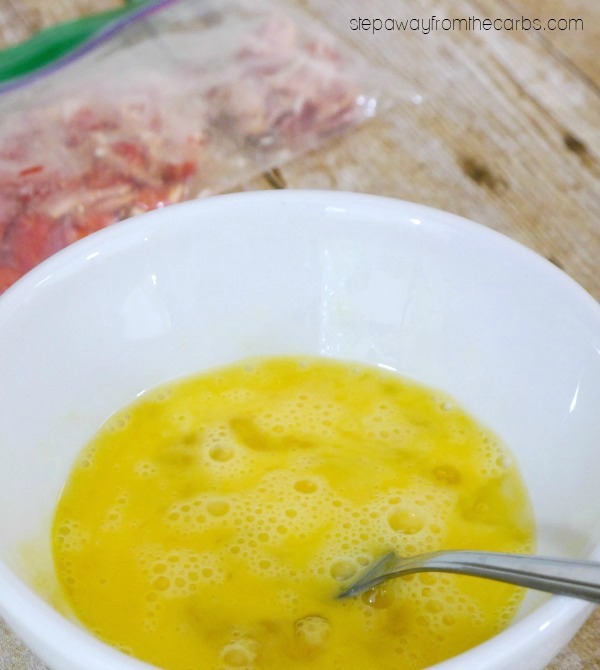 When you're ready to cook, whisk two eggs together in a bowl with a fork. Add the contents of one bag and stir. Microwave on high for 30 seconds. Stir again, and cook for another 30 seconds or until the egg is cooked to your liking. Add black pepper and enjoy!